We’re talking about Norwegian Wood, and in a much more literal sense than the Beatles did. Lars Mytting’s book, out in the UK on 24 September, explores the art of chopping, stacking and drying wood – and in Scandinavia it resulted in something close to a phenomenon. The book inspired a 12-hour-long TV programme, including hours of footage of wood burning, which was watched by nearly a million Norwegians. This might sound somewhat strange to, well, the rest of the world. But Mytting’s book is full of wisdom, humour, folklore and modern science surrounding the ancient energy source, and makes an entertaining and instructive read whether you’re heading outdside to chop logs or comfortably curled up indoors in front of the fireplace. 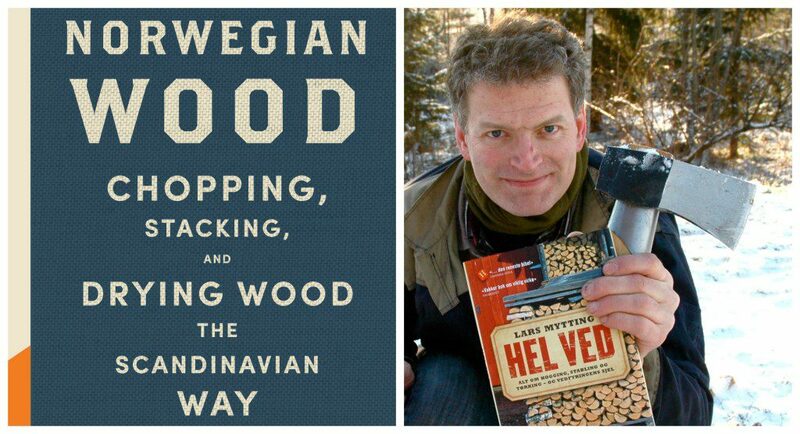 Mytting explains that, unlike ordinary how-to books, there is something in Norwegian Wood that taps into an inherent human fascination: “The book has many enthusiastic readers, both in cold countries with a culture of wood-burning, but also further south in Europe, even in countries with few remaining forest areas. The interesting thing is that the book is read in two ways – both as a non-fiction book about the methods for logging and heating, but also as a story about the joy of practical work and being self-sufficient. Wood is humanity’s oldest energy source, and all peoples have a relationship with it, but few use it so actively and consciously as Norwegians,” Mytting says. Lars Mytting’s Norwegian Wood, translated by Robert Ferguson and published by MacLehose Press, is available in the UK this month. “I think it will be very interesting to meet the British readers. Of course, the nature is quite different in Norway compared to the UK, and the countries do not have the same starting points when it comes to making use of natural resources. However, we are two countries with a mutual curiosity and interest in each other’s cultures,” he notes. Lars Mytting has previously written three critically acclaimed novels but, unlikely as it may seem, it was Norwegian Wood (‘Hel Ved’ in his native tongue) that made him a household name in Norway. Signed books are available from Toppings Bookshop in Ely, Forum Books in Corbridge and Heffers Bookshop in Cambridge. Cover photo by Joe Shlabotnik.